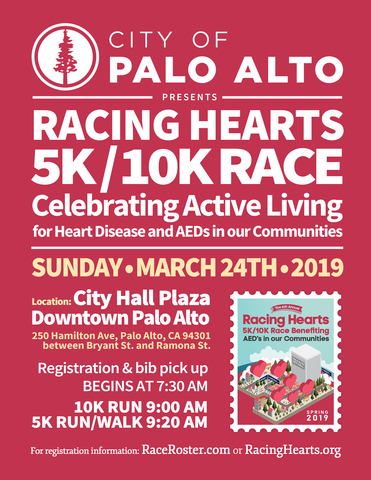 Help us promote great heart health by volunteering for the Racing Hearts 5k/10k! Keep our race participants safe and cheer them on as they travel the course. Volunteers Needed from 6:30-12pm - many shifts available! Please sign up, to be able to have a cool long-sleeved volunteer shirt reserved in your size!